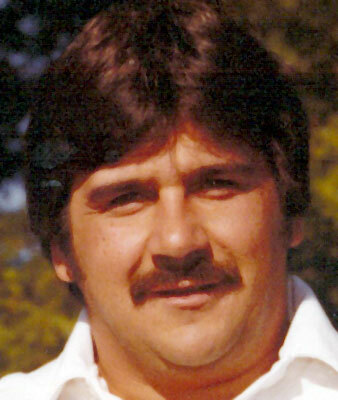 MCDONALD  Lawrence M. Carkido, 74, entered into eternal rest Tuesday, May 29, 2018, at St. Elizabeth Health Center in Youngstown. He was born July 28, 1943, in Youngstown, the son of Lawrence and Mary (Krpicak) Carkido, and had lived in the area all his life. A graduate of McDonald High school, Larry served in the U.S. Army, where he was recognized for saving a boy from drowning. He retired from Youngstown Steel Door and coached McDonald Little Blue Devils football for many years. He had called Bingo at St. Rose Church and enjoyed casinos, horseracing, Cleveland sports, fishing, telling jokes, and most of all, watching his grandchildren play sports. Fond memories of Larry live on with his four children, Phillip (Marie) of Columbus, Gary (Tracey) of McDonald, Vincent (JoAnne) Carkido of McDonald, and Maria Carkido of Youngstown; six grandchildren, Benjamin, Dominic, Alana, Taylor, Nevaeh, and Giovanni; and three sisters, Theresa Casale of McDonald, Barbara (William) Aggers of Vermilion, and Carol (Robert) Scirocco of McDonald. Services are private. In lieu of flowers, material contributions may be made to the McDonald Football Sideliners, P.O. Box 441, McDonald, OH 44437. Visit www.statonborowskifuneralhome.com to view this obituary and send condolences. « Be the first to sign LAWRENCE M. CARKIDO guestbook.